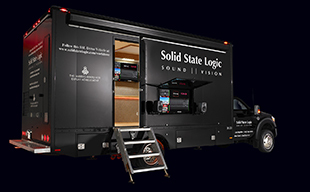 OXFORD, ENGLAND - Solid State Logic (SSL), the world’s leading manufacturer of tools for creative audio professionals, is proud to announce that it will be exhibiting at InfoComm (Booth C11329) for the first time in 2014. We will have multiple SSL Live consoles at the show to provide ample opportunity for hands on demonstrations. The consoles will feature brand new V2 software with enhanced Effects, Routing, Control Surface functions and additional output Matrix processing. SSL will also exhibit the award winning Nucleus studio control surface alongside SSL’s range of MADI and IP Audio Network based interfaces and converters.